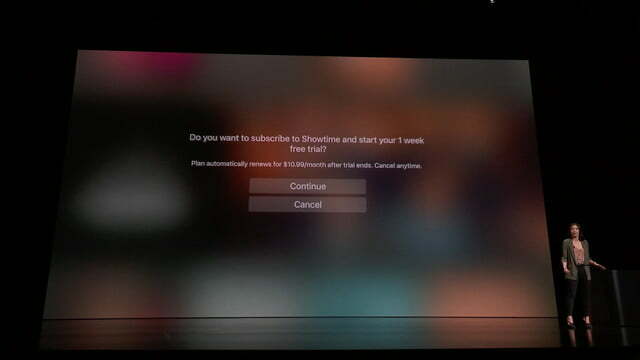 Apple announced a new version of its TV app at a March 25 event the company called “it’s showtime,” where Apple also unveiled a new News Plus service, a new TV Plus streaming service, and more. The announcements followed months of speculation about Apple’s TV plans. Not to be confused with Apple TV (the set-top box), or Apple TV Plus (Apple’s new streaming video service, which will compete with Netflix), the TV app comes standard on all Apple TVs, and it’s also available on iOS devices like the iPhone and iPad. Later this year, it will also be available for the Mac, and several smart TVs. Launching in May and out now in beta, it’s an attempt to simplify what has become a crowded and somewhat confusing array of TV- and movie-watching options by putting all of that content within a single experience that moves with you, wherever you go, on virtually any screen. Here’s everything you need to know about the new Apple TV app. The new TV app builds on the features of the previous version, letting customers access a variety of content within a single experience, but it takes a new approach to how this is done. Using an interface that will feel immediately familiar to Netflix subscribers, the TV app home screen is called “Watch Now,” with additional screens for categories like Movies, Kids, and Sports. Each of these screens features subsections like Up Next, What To Watch, and For You, which make it easier to find what you’re looking for. 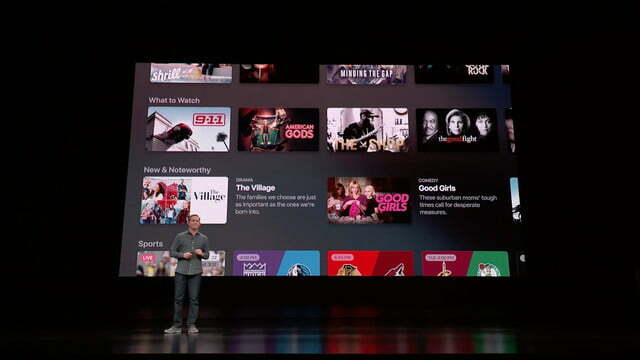 Apple claims that it’s using expert human curation to make high-level recommendations, but that there will also be highly personalized suggestions done by software, on your Apple TV or another device. 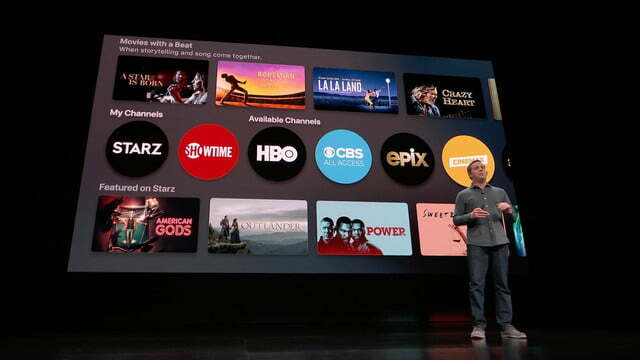 In addition to being able to add a select set of cable and satellite TV providers, as well as live TV streaming services such as Spectrum, DirecTV, Optimum, Hulu, PlayStation Vue, Fubo TV — something current TV app users can already do — there will be more than 150 additional “Apple TV Channels” available to be added, all within the TV app interface. It’s a familiar concept and gives viewers greater choice over what they want to watch and how much they’re willing to pay for it. These channels are simply third-party products like Starz, HBO, Epix, CBS All Access, and others, that are available on platforms like Amazon Prime Video. The biggest difference is that signing up for them (and starting free trials if available) can all be done quickly and easily from within the TV app. 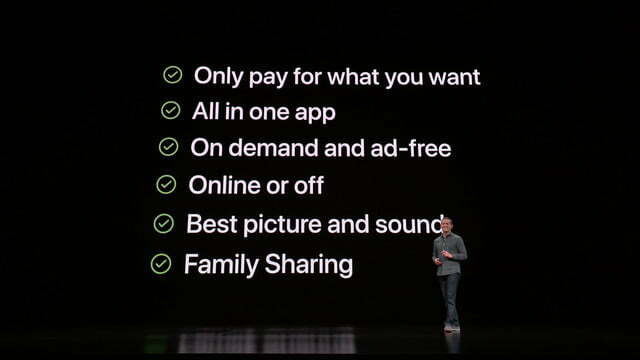 Apple says there are more than 100,000 titles to choose from if you add all of these services up. Needless to say, Apple’s new Apple TV Plus streaming service will be one of those options. Notably, Netflix is not. 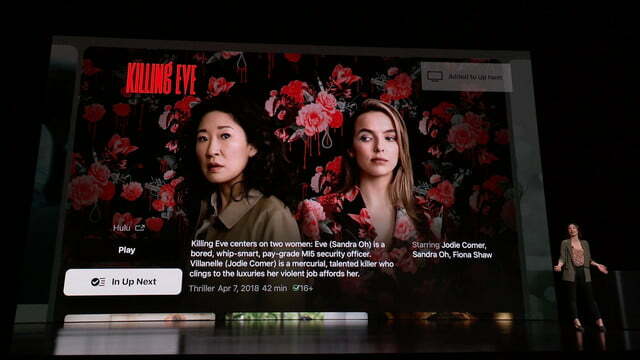 The new TV app will be available on Apple TVs and iOS devices starting in May, but it will also arrive on MacOS in the fall. 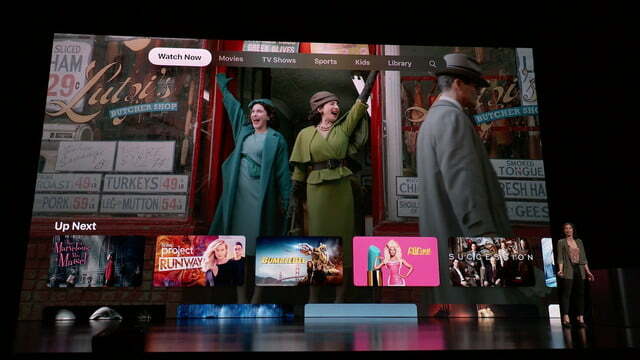 The big surprise, however, is that for the first time, the TV app will also appear on non-Apple devices. Apple is making it available on a wide variety of smart TVs starting with Samsung, but LG, Sony, and Vizio will get it too. It’s not just for smart TVs: The new TV app will eventually be available on Roku, and Amazon Fire TV devices. Apple hasn’t announced support for Android TV device like the Nvidia Shield, but given that Sony’s smart TVs are powered by Android TV, it seems like a good bet that it will show up in the future. If you’re using an Apple device, Siri can be summoned at any time to help you find what you’re looking for. All of the content available within the Apple TV app is on-demand, regardless of the source, and can be watched online or downloaded for later viewing offline, and there are never any ads. However, Apple didn’t reveal how customers would watch livestreaming TV via their cable, satellite, or digital streaming services. No on-screen guide was shown, and there wasn’t any indication of a DVR service. 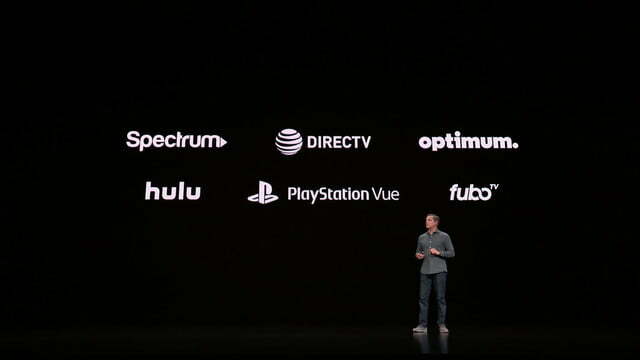 We know that these features will be available at some point because Apple already supports live streaming services like PlayStation Vue and FuboTV, both of which have optional guide views. The big mystery still surrounding the new Apple TV app is how much it will cost to subscribe to the many channels that can be added. If there’s no savings to be had compared to, say, Amazon Prime, and if you can’t incorporate Netflix into the experience, Apple is presumably hoping that its ease of use, superior curation and recommendations, and an ability to watch on a variety of devices is enough to entice viewers. Because there’s no actual subscription to Apple to be able to use the TV app, it’s possible that people will try it out of curiosity and begin to make it their viewing experience of choice over time. If you’d prefer not to wait until Apple’s May launch window to try the new Apple TV app experience, there’s a beta version of tvOS 12.3 available right now. Here’s how to get it and what to be aware of before installing it.